Eric found Vital Body and turned his health story around. Eric’s weight loss story is quite amazing. He came in to Vital Body just when his health was on the cusp of tipping over into serious health issues. Luckily, he nipped in the bud. He had gained his weight from years in a high stress position. Eric was skeptical of weight loss programs out there. 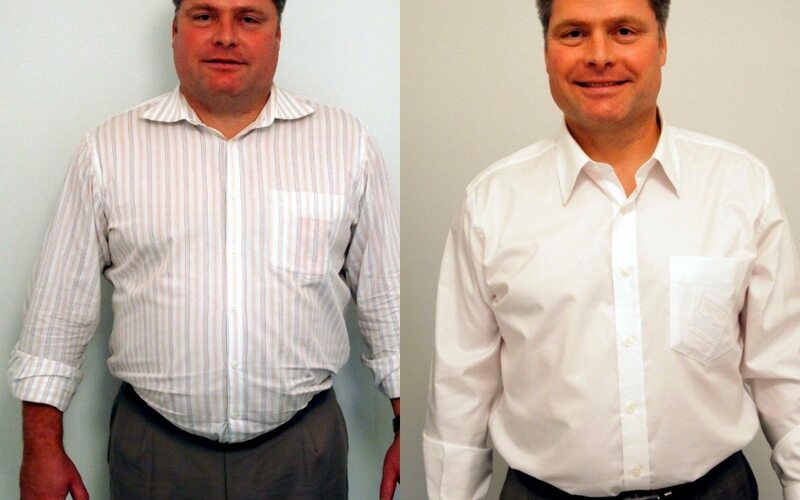 When he came to Vital Body and learned about the science behind our weight loss method, he started right away. We are so glad he did. We know his wife and children are happy that Eric made changes to his health and reverse many of his conditions. When my doctor told me that my weight would have an impact on the length of my life, it was an oh, my god moment right now, because the reality was I could die very shortly. Three in four people in your kind of condition will not here in a matter of five to 10 years, but I want to be there for my kids as they grow up and to sort of experience life with them, and that was when I really sort of changed my mind about what I had to do with my weight. The more weight I had, the higher my blood pressure. The team at Vital Body treated me with respect and concern, and they didn’t push me into anything. They just gave me the bare facts. And these people had a genuine interest in a good outcome for me. I thought, wow! This is going to be a little bit difficult because I’m really changing my eating habits and I’m really going on a program that’s going to maybe make me feel uncomfortable. Not for a second did I really fell uncomfortable. Every time I met with them, they were enthusiastic. They encouraged me beyond my wildest dreams. They supported everything that I was going through. I lost 50 pounds. I’ve never gained that weight back for a day. As you start through this journey and on a daily/weekly basis you start to see your weight disappear, it motivates you. And that, coupled with the motivation and encouragement that you get from the team at Vital Body is what you need to actually accomplish the mission. They just keep encouraging me, so I’m tickled pink.